We all have our strengths and weaknesses. Over the years, as we grow up, we have learnt to manage our weaknesses and capitalize on our strengths. I don’t know if you have come across the saying that “there is strength in weakness” and vice versa. I think this is why God is more interested in our weaknesses. He specializes on bringing out strength from them. EXCESSIVELY CAPITALIZING ON YOUR STRENGTH IS A BAD IDEA. I am really not a fan of “Too much of everything is not good”, because I know one thing that is never too much, but I encourage that statement when it comes to using your strength. I guess you are probably wondering how these can be. “My strength is my area of specialization. What is wrong with me capitalizing on that?” Really, shouldn’t you make use of your strength any chance you have? You should. There is nothing wrong with that. It’s natural. Here is the truth; excessively using your strength will make it become a weakness for you. Using your strength too much without balancing it up can end up to be a disadvantage for you, even if you are hardworking, inspiring, determined, committed and encouraging. If you are excessively enthusiastic, it will ultimately result in being over-bearing for you. If you are too sober, you will end up being very uninteresting. So, how do you know if your strength is turning into a weakness? Are you introspective? Always evaluating yourself and your activities? It is the habit of being lost in your own thoughts and looking into your own self. Yes, self-evaluation is important. But do you know what too much of it will lead to for you? It is self-absorption but for someone that lacks introspection or when it is not enough, it leads to superficiality. You can spend every minute, hours, weeks,months and years over-analyzing the situation, thinking of ‘what ifs’, what could have been, what would have happened, trying to put the pieces together or YOU CAN JUST LEAVE EVERYTHING ON THE FLOOR AND MOVE ON. Confidence. I have once heard someone say “nobody really has confidence, they just project it”. But I believe some people just have it naturally. It’s good to be confident. But what happens if you do not dilute it with a little bit of humility, arrogance will set in, which can only be noticed by people around you. Perseverance breeds success. It is also synonymous to persistence. That is another strength, which many people don’t have. Giving up is generally easier. I appreciate that strength personally. I always use this quote a lot myself “I can and I will, just watch me”. It is not easy to persevere when people are always looking for ways to discourage you, especially when you don’t share the same vision or thought with them. But in a situation whereby it is not balanced up with flexibility, it would lead to rigidness. Courage is strength. Know that you have to apply prudence, because it could turn to recklessness. Being charming can open unexpected doors for you. It’s a good talent. What happens when you are just being charming without authenticity? Expect deception and lack of nobility, true honour and dignity. It won’t help you on the long run. As a blogger or an internet marketer or working with a company that leverages on social media, it would really help your blog or business to take up faster. It is even better for you when you are very good at it. Effective social networking leads to favourable sales and relationship. But that’s it. If you allow yourself to get lost or too much involved in this social aspect of this strength, you will only end up making friends. Although it is a benefit to your social life, but I cannot say the same for your business. That is also strength. Just don’t overuse it. It usually causes “analysis paralysis” for strategists. You will spend too much time contemplating over every insignificant issue. This tends to lead to procrastination most of the time. If you spent too much time thinking things through but ended up with shorter time to execute them, how successful do you think they would turn out to be? Being decisive or independent is strength. But delegating tasks might not be that easy for such an individual. You might feel the need to control everything and everyone in your team as a team leader. You might not trust them enough to put them in charge of things for fear that they might not perform up to your expectation or not do things the way you would have. Things could make you manage things extremely and it could lead to bitterness in the group environment. A winning mindset is great. It should only be your driving force towards success. Guide it, so it doesn’t become winning at all cost. Allow winning to be your inspiration behind competition. Letting go of your morals and beliefs while you are trying to win will make you hurt and cheat people. Winning is winning when it comes with integrity and honesty. Incorporate your multi-tasking skills proficiently. It could overwhelm you if it is not properly managed. You should be able to know and admit that you have taken on more than you could attend to. This will be an indication that you are overdoing it. Extremely using this skill could make you messy, ineffective and stressed. You can browse other effects of multitasking on your own. If you always say yes to people, you will get along pretty good with them. You will also make many friends. Just don’t be offended when you are taken for granted. It is not that bad anyway, as long as you can quickly figure out when someone is trying to take advantage of you. Your willingness to help people should not make you forget your own responsibility and needs. When you say “yes” to others, be certain that you are not saying “no” to yourself. You are meticulous. You have a high standard, which is great. So you know, if you allow yourself to get lost in that strength, it could turn you into a nitpicker. The major problem perfectionists’ face is having the expectations that others should be like them. Waiting for a perfect plan, perfect strategy, perfect person, and perfect idea will lead to procrastination. A waste of time. Why would you want that? It would also be good if you deal with people with the understanding that everyone, like you has their own standards. If your strength is turning into a weakness, how do you take care of this? First, how well do you know yourself? Modifying your habits needs sensitivity, especially your strengths. You need to be aware of the people around you and know yourself EVEN MORE. If you are not sensitive to this, you might be unintentionally creating an obstruction for yourself on your own journey to success. You should focus on your vision and not the problem. Acknowledge the presence of the problem and work towards fixing it. Have a positive mindset. Accept the fact that you won’t have all the answers every challenge that comes your way in this life. Don’t see reaching out for mentor-ship, support, assistance, guidance as a weakness but as strength. If you are a strong person, don’t be terrified of revealing your vulnerability, to your partner especially. You just need to apply wisdom when it comes to others. As a decisive person, try to embrace flexibility. If you are competitive, it should not stop you from being empathetic, although I can understand that being competitive is as good as being in a war when it comes to business, just don’t lose yourself into that. Do not embrace the “do or die” slogan. Well, except you are a politician. I have been made to believe that’s the way the “normal” politics is being played these days. Too bad. Just remember, you are more valuable and more precious than whatever you set out to achieve. I don’t think it is worth losing your soul to anyway. As a visionary, don’t forget to be realistic or practical. Be sensitive if you are task-oriented as well. If things aren’t the way they used to be for you or around you, it could be that your strength is turning into a weakness. Rather than consistently capitalizing on your strength and overusing it when difficulty comes, try to broaden your management skills. Try to raise your level of empathy, seeing things from others’ points of view. It is very important for you to understand your strengths and notice the ones among them that might end up as a weakness. You also need to understand what your personal behavioural pattern is like. With this, balancing up your weakness and strength wouldn’t be difficult. This is another way to know if your strength is turning into a weakness and deal with it. There isn’t a better way by which you can know if you have been overusing your strength(s), except to get some feedbacks from people around you, family, customers and co-workers. You can get this through a little assistance from your friends and other people that you trust. This will also help you to realize and respond to any situation that might force you to excessively use your strength. It would be easier for you to make a substantial progress this way and you would be able to bring out the best from any circumstances. Also, be more transparent and develop the depth of your interaction with people you deal with. These will help develop your skills and help you become a more stable individual through your good and hard times. Be in charge of your strengths and your weaknesses. Control them, so they don’t end up controlling you. Think I have missed out some good points? Or you have anything you want to share with me and other readers, kindly do so. I would appreciate your feedback. Sharing is caring. Kindly do it. Great post. I was checking continuously this weblog and I’m impressed! Very useful information particularly the final part 🙂 I take care of such info a lot. I was looking for this particular information for a long time. Thanks and best of luck. I always read through your site content thoroughly. 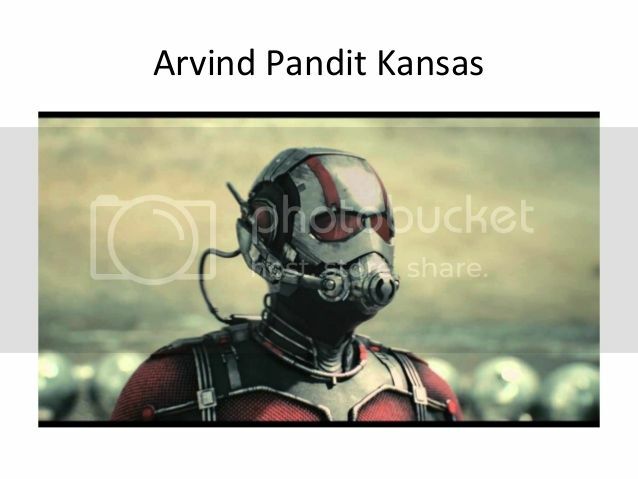 I’m furthermore fascinated by Arvind Pandit, maybe you could talk about this occasionally. I’ll be back soon! It was actually great to read this article and I believe you’re completely correct. Inform me if you’re interested in towelroot latest version, this is my principal competence. I really hope to hear from you soon, take good care! Hey there! This is my first comment on your website so I just wanted to give a quick hello and say I truly enjoy reading through your blog posts. Can you suggest other blogs which deal with front door intercom? I am as well extremely interested in that! Thanks! You ought to take component in a contest for one of the greatest blogs on the web. I will advise this website! Its like you read my mind! You seem to know so much about this, like you wrote the book in it or something. I think that you can do with a few pics to drive the message home a little bit, but other than that, this is excellent blog. A fantastic read. I’ll definitely be back. Howdy! I just saw this excellent website and I certainly love it. I want to talk about free tv streaming at times. Great to be around, cheers! Thanks a bunch for this terrific article! I definitely liked learning about.I’ll ensure that I save your website and definitely will come back later on. I would love to encourage you to keep on with the fine posts, possibly talk about personal injury settlements as well, have a superb evening! Hi and thanks for this terrific posting! I genuinely enjoyed finding out about it.I’ll make certain to save the site and will come back later on. I wish to encourage you to ultimately continue the good job, even discuss push lawn mower reviews too, have a fine day! You are certainly right and I totally agree with you. If you wish, we might also talk regarding canon installer, one thing that fascinates me. Your site is definitely fantastic, best wishes! Appreciating the hard work you put into this blog and in depth information you offer. It’s awesome to discover a blog once in a while which is just not the similar unwanted re-written material. Awesome read! We have saved your site and I’m adding your RSS feeds to our bitcoin cash exchange website. Hello, I’m really glad I found out this webpage, I basically found you by accident, while I was browsing on Yahoo for games. Regardless I’m here now and would just enjoy to say many thanks for a tremendous blog post and the all-round enjoyable site (I too love the theme), I do not have the time to read it entirely at the minute but I have book-marked it and moreover included the RSS feed, so once I have plenty of time I’ll be back to go through a great deal more. Make sure you do maintain the fantastic job. Hey there could you let me know which platform you’re working with? I am looking to do my own blog on freight forwarding companies in the future though I’m having difficulties choosing. I am intrigued to learn what website system you have been working with? I am having a few slight security difficulties with the most recent site about shipping terms so I’d love to find one thing more secure. Have you got any suggestions? Youre so cool! I dont suppose Ive learn something like this before. So nice to seek out anyone with some original thoughts on this subject. realy thank you for starting this up. this web site is one thing that’s needed on the internet, somebody with a bit of originality. useful job for bringing one thing new to the internet! Hello there can you let me know which blogging platform you are working with? I am planning to start my very own blog on dental practice very soon yet I am having a tough time making a decision.